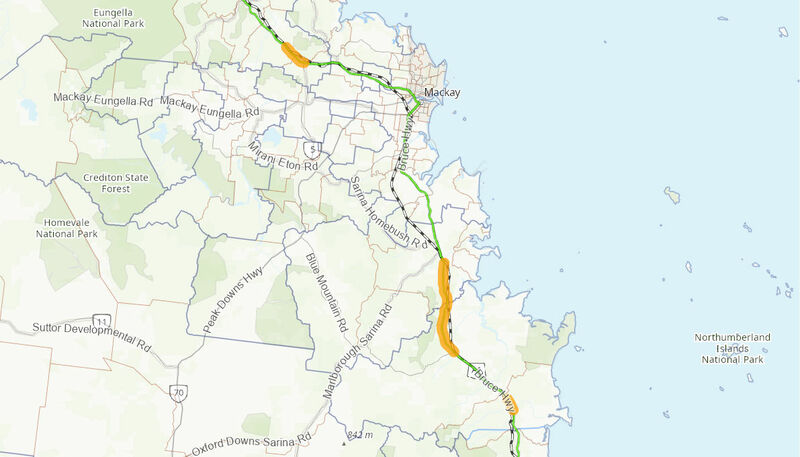 The project involved pavement widening and strengthening works, including wide-centre line treatments, on high priority sections of the Bruce Highway between St Lawrence and Bowen. The pavement widening has been combined with the application of wide centre line treatments to separate vehicles on two lane sections of the Highway, greatly reducing the risk of head on type crashes. The Australian Government has committed up to $9.6 million to the project, in partnership with the Queensland Government. Works commenced in March 2015 on the first of the projects, with the full pavement widening program completed in late 2016.